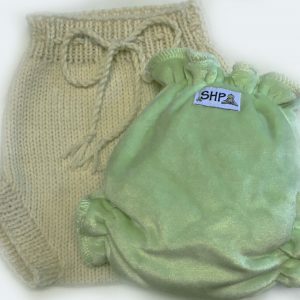 This pack of a mix of our all natural SHP Nappies takes the thinking out of what you’ll need. You have enough to think about. 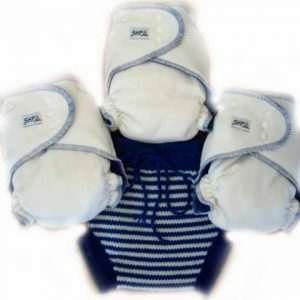 Except I would also grab at least 6 pairs of our natural bamboo breastpads and some liners. Pack includes 12 Prefolds, 6 Daysies, 6 Lushies, 12 extra Universal Boosters, 3 Woollen Covers, 1 Lanolin and 1 snappi (not pictured). 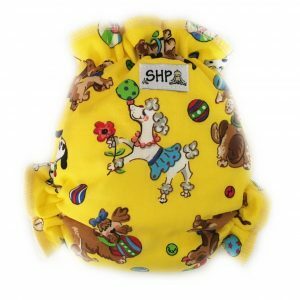 Wool colour and Lushie colour choices can be added in the fabric box also or in a note with the order. 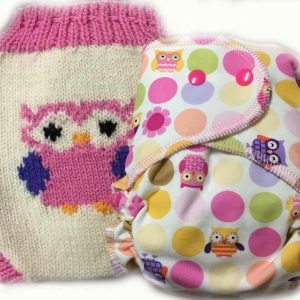 Please specify the which fabrics you would like from our fabrics page. Click here to view our fabrics. 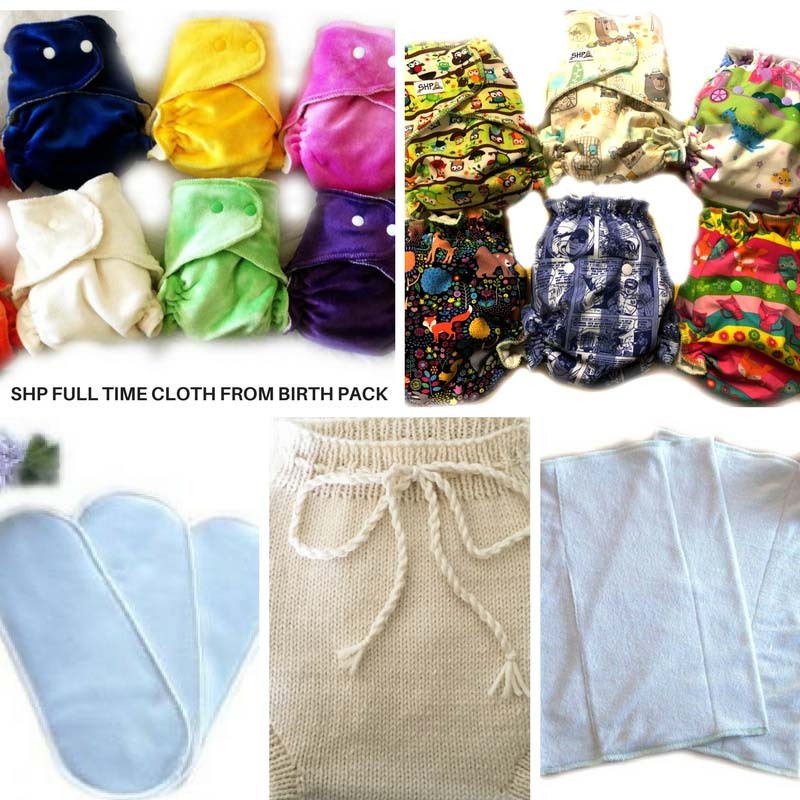 Get through the first 6 months with this pack and then you won’t need to spend a lot more as you will need a lot less nappies and you will know exactly what size and shape your baby will be to finish the cloth nappying journey to toilet training so it will save you alot of money in the long run.